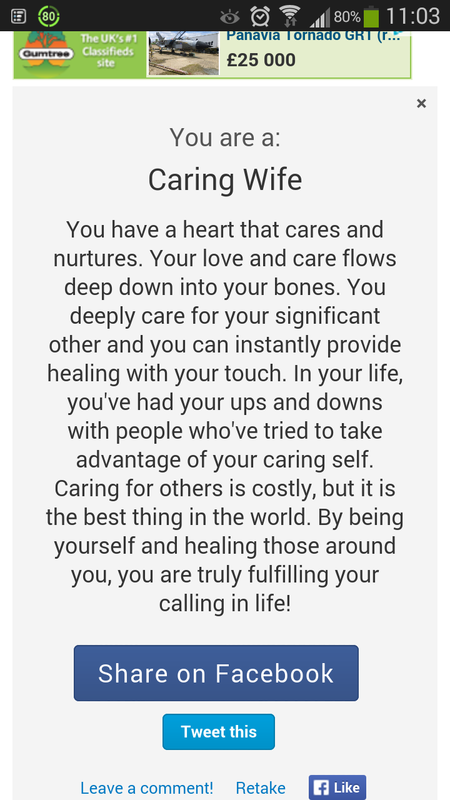 I took an online test this morning, and apparently I'm a caring wife. That's probably the reason why, when I had to plug my laptop in to charge this morning, I chose to unplug the recliner on the sofa rather than the pump aerating the fish tank. Damn my caring nature. True, I prevented fish genocide, but my feet would have loved to be elevated.